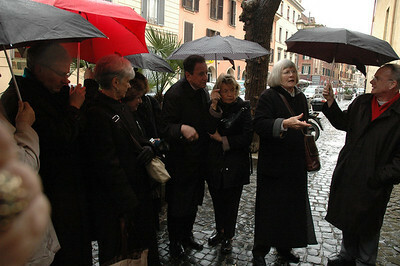 Pope Benedict XVI: general audience, private encounter, Evang LC in Rome and Italy. 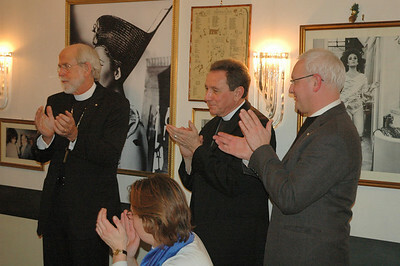 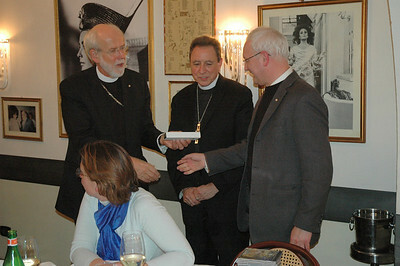 Dean Holger Milkau, right, Evangelical Lutheran Church in Italy, hosted the ELCA delegation at a dinner Feb. 10. 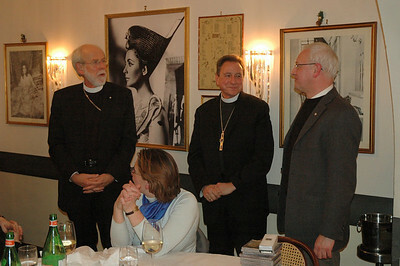 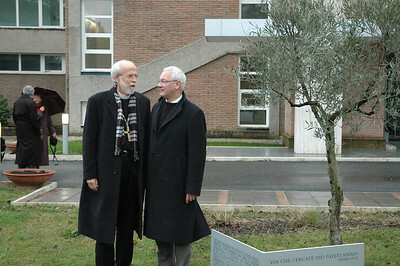 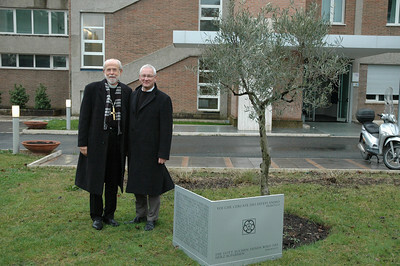 With him are, left, ELCA Presiding Bishop and LWF President Mark Hanson and the Rev. 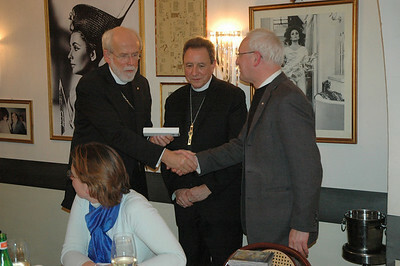 Donald McCoid, center, executive for ELCA Ecumenical and Inter-Religious Relations. 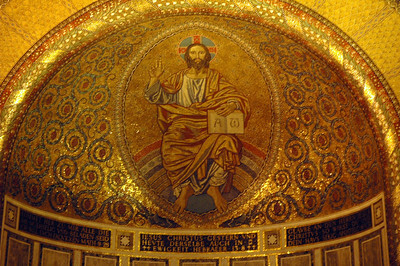 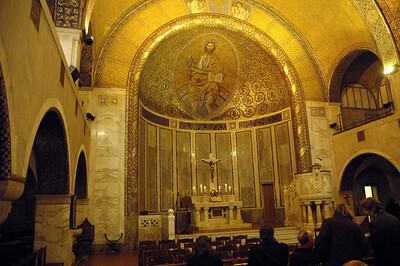 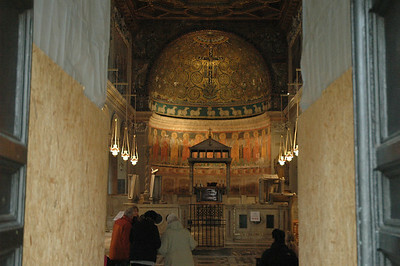 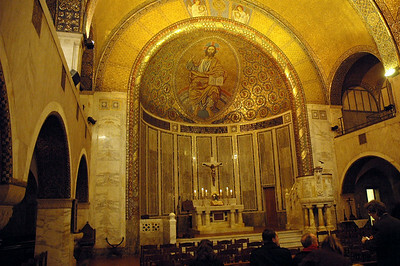 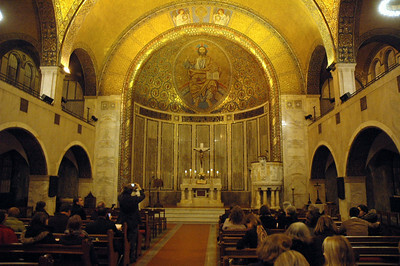 Just above the altar in the Lutheran Church of Christ, Rome, is a brightly colored mosaic of Jesus Christ. 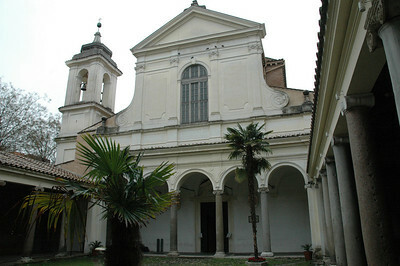 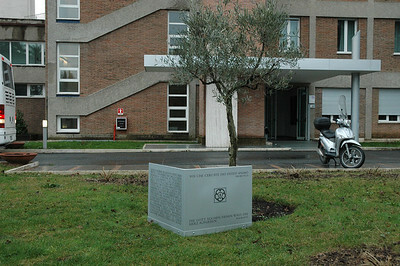 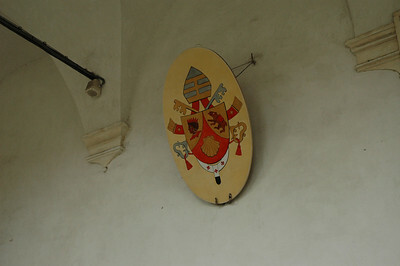 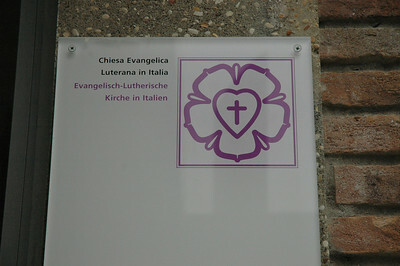 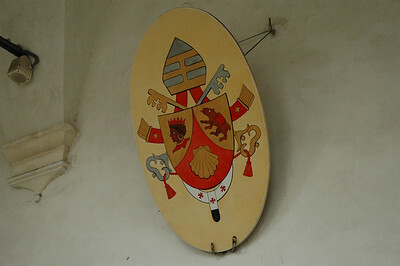 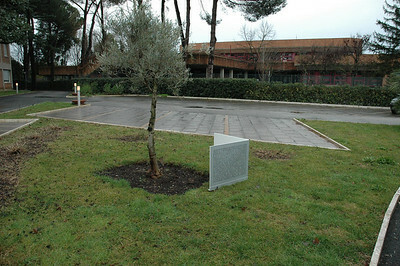 The Lutheran Church of Christ, Rome, is a congregation of the Evangelical Lutheran Church in Italy. 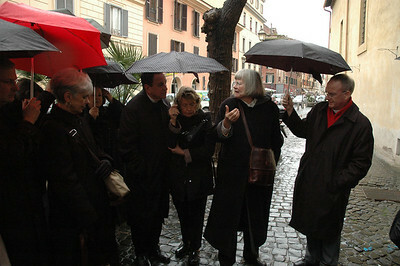 The ELCA delegation participated in worship there Feb. 10. 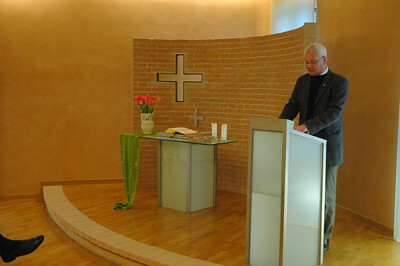 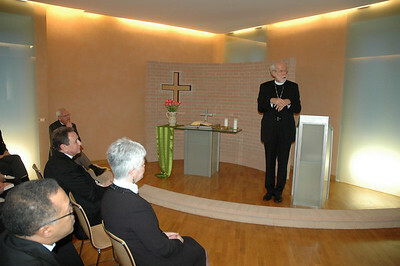 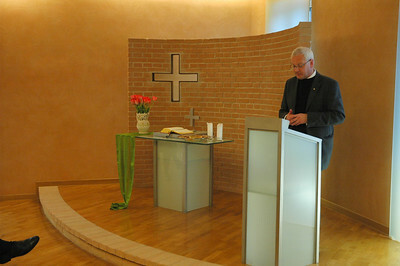 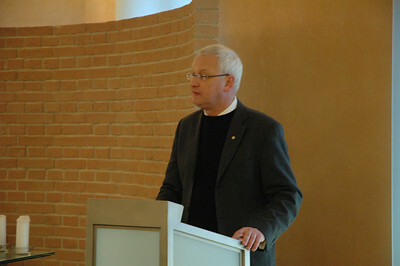 Dean Holger Milkau, Evangelical Lutheran Church in Italy, spoke to the ELCA delegation in Rome Feb. 10.